In recent weeks we've had to slow down production on ODIN Tracker for awhile as we shifted our focus temporarily on freelance work to pay the bills but not to worry we will be getting things back into gear come Monday next week to continue development on the v0.2 release. I just wanted to let you know that [MENTION=8008]benjamin.smith[/MENTION] showed me some samples of what ODIN Capture can do and it's really amazing. I'm looking forward to the release! I just wanted to let you know that @benjamin.smith showed me some samples of what ODIN Capture can do and it's really amazing. Upload video to Facebook, Twitter, YouTube, Vimeo, Instagram, Google+, etc. Upload image / GIF / video to Dropbox, OneDrive, Google Drive, Box, etc. Upload image / GIF / video to FTP, JIRA, Confluence, etc. Just letting you all know that we should be getting back into development around the 9th to 16th of January. UPDATE we have gotten back to work on ODIN Tracker since the 19th/20th and will continue work on the 24th with a hard deadline set to release by the 31st of January and no later. UPDATE: there have been some minor delays due to Richard (a colleague and the lead programmer) dealing with moving houses which has taken longer than expected. While we're happy to release the final 0.2 build with bugs, there were a few which we considered showstoppers in regards to breaking core functionality of the ODIN:Capture module and making a lot of it useless (we can't have that can we?). So here's the list of bug fixes since our last announcement with a few more fixes to come tomorrow than release hopefully before the weekend. 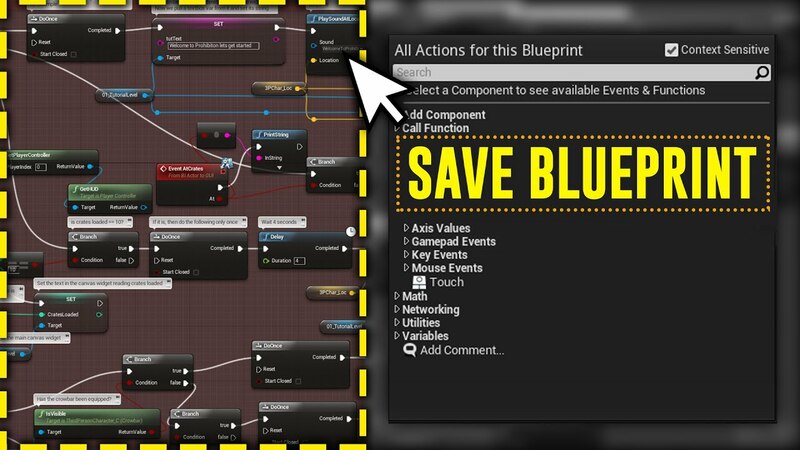 - [MISSING] Blueprint Capture option within ComboButton dropdown with multi-Blueprint viewport detect & select feature within the menu (can still capture Blueprints via Capture Screenshot + Ctrl & selecting Blueprint Viewport). - [MISSING] in-editor edit file output name i.e. save as (normal save button opens Windows Explorer Save As window for the time being). - [MISSING] modifier add (callout, crop, magnify, text) selection not included (text may make it into 0.2_rc2). - [BUG] modifier stack scroll function buttons (up, down, bin) clips when adding an 8th item to the stack. - [BUG] capture of Blueprint results in high-contrast output of the Blueprint background grid (still passable to read nodes though). Last edited by BenjaminDSmithy; 02-09-2017, 11:29 AM. Reason: Added known bugs and missing features for current build. This is one of the best plugins out for UE4! I highly Recommend this plugin for anybody dealing with blueprints! Get it while it’s hot ODIN Tracker 0.2 has been released! My bad I just realized I forgot to add .7z to the end of the website download links (fixed now). We've put a lot of time, sweat, and tears into making our first major release as polished and feature packed as we can. @MosFett We plan to offer a transparent background capture option for Blueprint, Material, etc Editors which might come in handy for future blog posts of yours (also works great with PDFs / PowerPoints). As for Video Capture, you can expect to be seeing the 1st pass of that feature as soon as v0.3 (part of paid portion of ODIN:Capture add-on). In the meantime feel free to test out ODIN Tracker and the ODIN:Capture part of the plugin as some elements are and will remain FREE! The upcoming v0.3 release is looking to be quite feature packed and this is why we've decided to start rolling out some of our paid features with this upcoming release. Our hopes are that during these pre-1.0 days of development we can generate enough sales to allow us to consistently work on ODIN Tracker at least part time and provide a more coherent release schedule every 2-4 weeks for everyone. You can follow Medel Design on Facebook & Twitter for more game dev related content. This current version (0.2), should it be working somehow with engines 4.17 and 4.18? Thank you. I just downloaded the plugin but unfortunately this require to build project files with Visual Studio. My project isn't a c++ project. This plugin don't work with UE 4.21 ... Any suggestions please ?